Often when thinking about metal alloys, we consider the strength and durability of the metal to withstand a range of loads, stresses and extreme temperatures. Yet there are a range of manufacturing applications where an alloy needs to have a low melting characteristic. A low-melting alloy, also called fusible alloy, can take a liquefied or a slushy-soft property when heated at a lower temperature of well below 450 degrees. These alloys may be Eutectic alloys, which are a combination of two or more types of components that will have a combined melting point that is the lowest that can be reached, such as 145 degrees Fahrenheit. The eutectic alloy melts at a single temperature and solidifies with the metal components mixed. A low-melting alloy may also be non-eutectic where a range of temperatures will be needed to melt and solidify the different components as it has a pasty composition. Several types of eutectic alloys will possess an amazing metal called Indium. 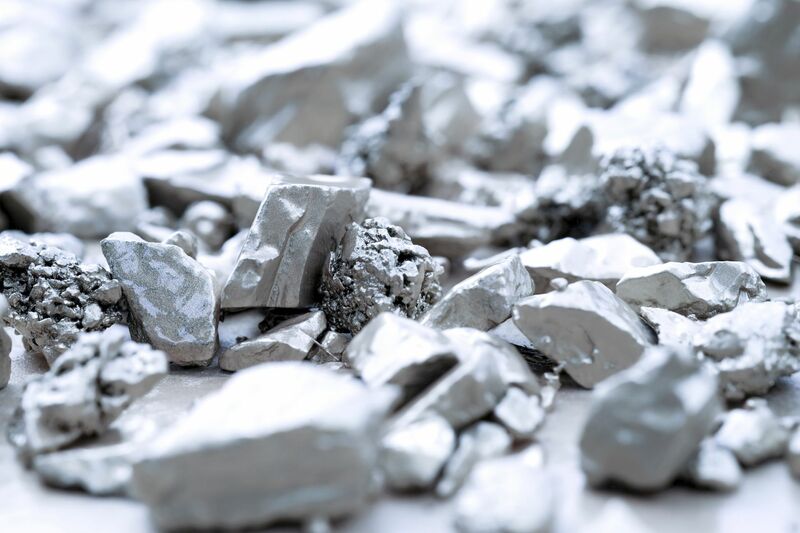 Low melting alloys will consist of a range of metals that has a high percentage of bismuth that will be combined with tin, lead, cadmium and indium. Indium is a silvery metal that is so soft and malleable that it can be scratched with the tip of a fingernail. This metal has a low melting point from 107 degrees to 315 degrees Fahrenheit as it can be bent into any shape that is desired. Indium-based alloys are ideal with applications where the alloy needs to have thermal conductivity. The alloy will also have some ductility where it can be stretched. The growth and shrinkage characteristics of low-melting alloys with indium added has created a world of application possibilities with this versatile metal. Indium-based low melting alloys can be found in a range of applications, from castings to radiation therapy shielding. Yet due to its soft nature, this alloy is often used in the manufacturing process itself to create and finish other products. Due to its low melting and liquid state, alloys with indium will often be used in bending, anchoring, chuck, or jig applications. During bending, the low-melting alloy will be placed inside of a tube. The melt will solidify and expand, filling the tube and showing any kinks or cracks. Then the tube will be bent into the desired shape as the indium-based alloy acts as a support. Once the tube is bent, the alloy is heated in hot water, a hot oil bath, or in an oven as the indium-based alloy turns into a liquid and is completely removed. For anchoring applications, the alloy is placed around the part as it expands and solidifies. Then the part can be ground and polished, or held into place when used in sheet metal piercing applications. Eyeglass lens creations often have indium-based alloys attached during polishing. Then the alloy is melted away with warm water and reused again. For applications that could experience extreme heats that can cause a dangerous situation, alloys with indium may be used as a thermal fuse. When an application reaches a certain unsafe temperature, the alloy reacts to melt away as the application goes into safety mode to automatically wind down or shut off completely. Additional uses for low-based alloys containing indium include encapsulating molds for electronic components, casting dies, and electroforming mandrels. Low-melting alloys with indium will usually cost more. Yet manufacturers gain immense benefits from this alloy due to the fact that it can be reused multiple times in applications instead of being a single-use metal. In addition, indium will not negatively impact other materials when it is fused or cast onto the application. Another great feature is that it often replaces more toxic metals such as cadmium and lead, creating safer operations. To learn more about low-melting alloys containing Indium, reach out to the technical professionals at Belmont Metals.